The Hasan Dagi is a huge stratovolcano on which caldera collapses took place in ca. 7500-7600 years ago. The double-peaked stratovolcano Hasan Dagi in Central Anatolia has undergone four episodes of caldera collapse. The latest formed a 4-5 km wide caldera at the summit. The modern edifice is the youngest of four major basaltic-to-rhyolitic volcanic complexes dating back to the mid Miocene and was constructed within the latest caldera. Andesitic-to-dacitic lava domes form the two summits. Lava domes and associated pyroclastic-flow deposits blanket more than half the flanks of the Mount Hasan volcanic complex.  A group of more than 25 Quaternary cinder cones, maars, and lava flows dot the plains surrounding Hasan Dagi. Eruptions from Hasan Dagi impacted neolithic communities and were dramatically recorded in paintings that depict apparent caldera formation about 7600-7500 BC.